A quick card for two challenges at Splitcoast today – the CAS challenge taking inspiration from this drink and the Technique Lovers Challenge using color blocking. I used an A2 card base to start with. The color blocking was done with some fabric look images. 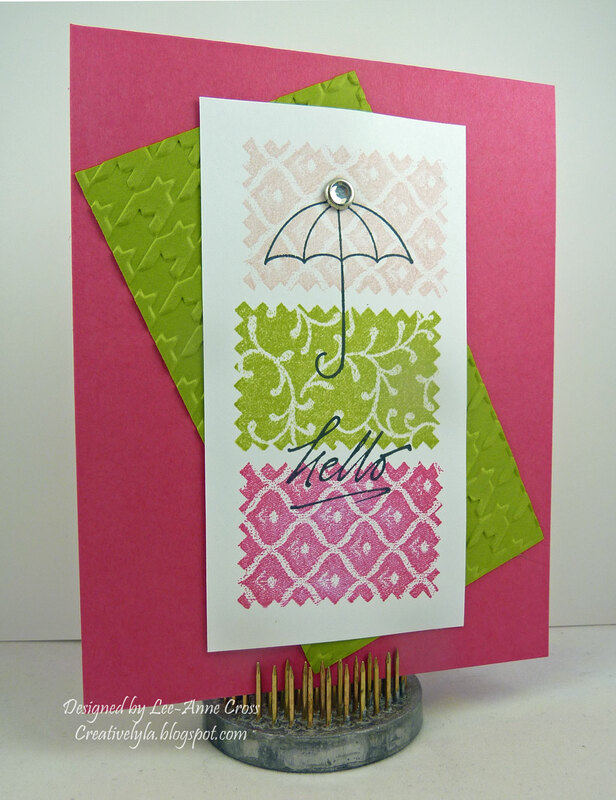 Then I stamped the umbrella and sentiment in black over top. Another simple rectangle has been dry embossed and placed behind the focal point for some added texture. A single rhinestone brad was added for a little bling. An easy, peasy card today!